High dynamic range video (HDR) offers many benefits, like a much broader range of color and luminance compared to standard dynamic range video (SDR). HDR content typically has a bit depth of at least 10-bits per each red, green and blue sub-pixel, resulting in 30-bit color which is enough to encode up to a billion colors. SDR content is usually 8 bits per sample (24-bit color) and that’s good for about 16.7 million colors. Feeding HDR video to a device that can decode HDR and is connected to an HDR-compatible display yields better contrast, greater brightness levels and a much wider color palette. You get true-to-life colors like in the movie theater, without ugly banding. To be suitable for HDR reproduction, an LCD screen must have a maximum brightness of 1000 nits along with a black level of less than 0.05 nits and a contrast ratio of at least 20,000:1. In terms of OLED display technology used in iPhone X and many OLED television sets from LG and others, a maximum brightness of 540 nits and a black level of less than 0.0005 nits are required, resulting in a contrast ratio of at least 1,080,000:1. Many HDR movies are, mostly, between 500 and 800 nits. Does my Apple device play HDR? 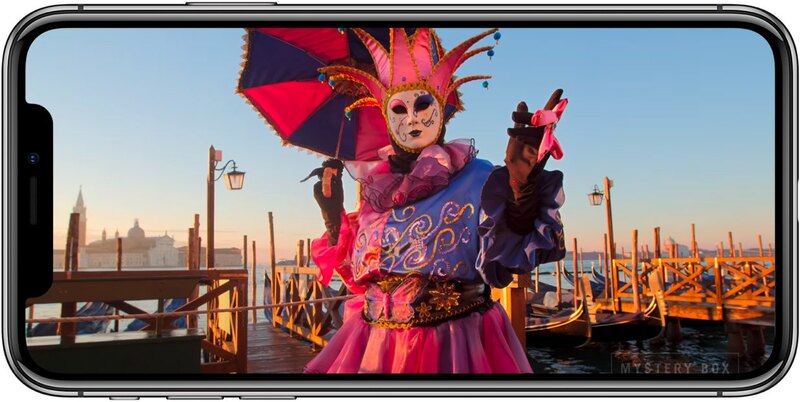 While all modern iPhones, iPads, Macs and Apple TVs can decode an HDR video file, your device must utilize a screen capable of rendering HDR content natively. Otherwise, you’re just seeing HDR content dithered to standard 24-bit color (8 bits per sample). 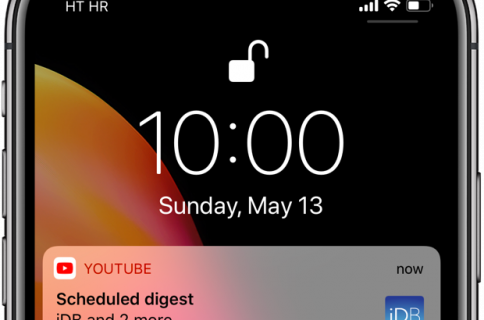 When it comes to watching YouTube in HDR on iOS, your choices are limited to the mobile YouTube app on iPhone X—the only Apple device with a true HDR screen. Other Apple devices aren’t outfitted with displays that can render HDR signal natively even though they may support Apple’s Wide Color (the DCI-P3 color profile). Apple confusingly advertises on its website that iPhone 8 and iPhone 8 Plus support HDR10 and Dolby Vision content. In reality, however, they don’t have screens that can render 10-bit signal natively. What those devices actually do is process the HDR signal and then use various dithering techniques to simulate visual enhancements to dynamic range, contrast and wide color gamut. Bottom line: iPhone X is the only iOS device with a native HDR display. While you’re technically able to play HDR-encoded video on your iPhone 8, remember that you’re seeing simulated, dithered color that won’t fool an experienced eye. As for iPad Pro, it does have a Retina display that’s bright and vibrant enough for HDR specification. However, YouTube hasn’t flipped the switch yet enable HDR on iPad Pro yet. 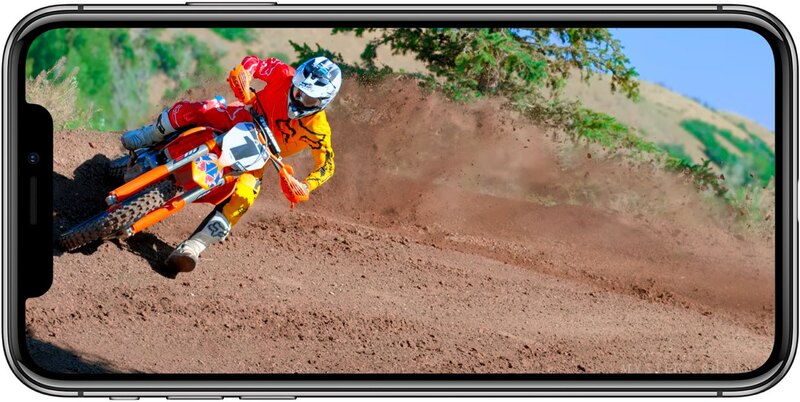 Here’s how you can enjoy YouTube in HDR on your iPhone X. 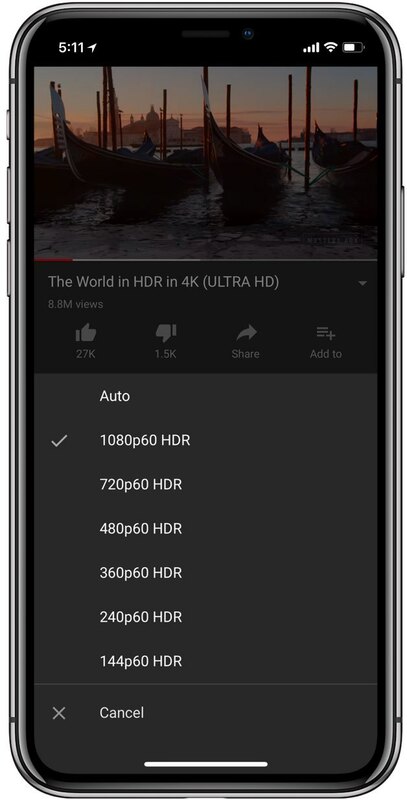 Do the following to watch YouTube in HDR on your iPhone X. 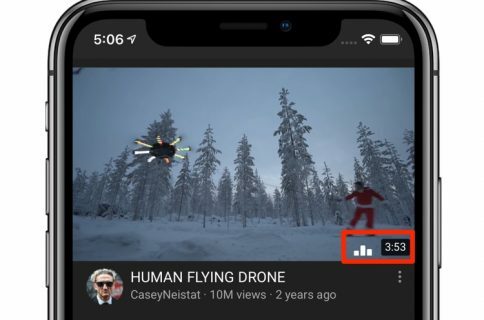 1) Open the YouTube app on your iPhone X. TIP: Be sure that you’re using the latest version of the app. 2) Tap a video you’d like to watch. 3) Tap the video to reveal onscreen controls, then hit the three dots in the upper-right corner. 4) Choose Quality from the popup menu. 5) Choose one of the resolutions that include “HDR”. 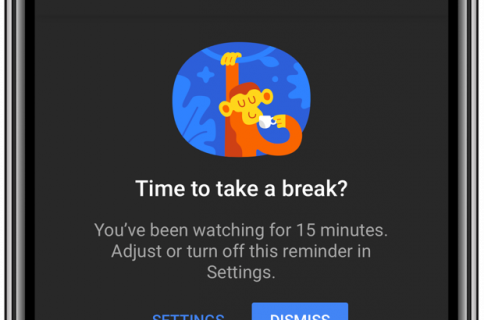 NOTE: The video player will remember this setting for future videos you watch. If the video wasn’t uploaded in HDR, you won’t be able to pick an HDR resolution from the menu. Unfortunately, you cannot watch 4K video in the YouTube app with your iPhone X because Apple doesn’t support YouTube’s VP9 video compression codec. Opening an HDR video file in any other app on any other Apple device—including embedded videos like the one included further below—will play it in SDR unless the device has a built-in HDR screen or is connected to one. While some videos may have “HDR” in their title, that doesn’t necessarily mean they’re encoded in HDR. You can confirm HDR playback when a YouTube video is played if you see an “HDR” badge on the playback controls or in the Quality menu. Channels like The HDR Channel and Jacob + Katie Schwarz are good starting points for exploring the world of eye-candy footage in all its HDR glory. I’d recommend checking out the videos titled “The World in HDR in 4K (ULTRA HD)” and “The God of War Intro” on both your iPhone X and a non-HDR device like your Mac or Windows PC to witness the difference in color depth and luminance for yourself. 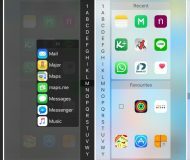 This one, embedded below, looks crazy on an iPhone X. For the full effect, HDR content will typically make parts of the image look brighter than the display usually allows in SDR mode. Be sure to boost the brightness when watching HDR to marvel a greater span of colors. YouTube detects the type of display you’re watching the video on and automatically down-converts the HDR file to SDR. In other words, viewers watching on non-HDR devices will see the video as an SDR video. Other video apps do HDR, too. 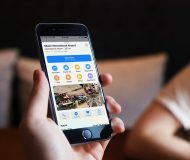 Last year, Vimeo added HDR support for iPhone X and Netflix picked up HDR support for iPhone X, iPhone 8, iPhone 8 Plus and iPad Pro. On desktop, connect your Mac or Windows PC to an external HDR monitor to enjoy high dynamic range on YouTube, but don’t forget to select an HDR resolution from the Quality menu! 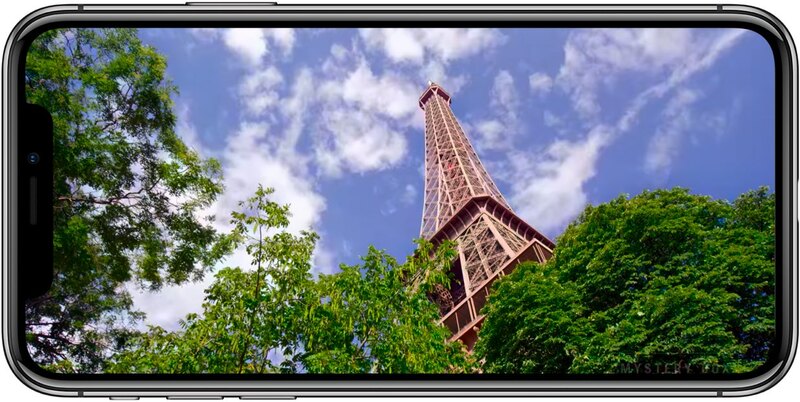 As mentioned earlier, even though you’ll see some visual enhancements to dynamic range, contrast and wide color gamut when playing HDR or Dolby Vision content on your iPhone 8 or iPhone 8 Plus, images won’t be at the full level of HDR visual fidelity afforded by the OLED display technology in your iPhone X. For those wondering, YouTube for tvOS doesn’t support 4K HDR on Apple TV 4K.